Direct - Advanced SystemCare Pro 12.2.0.318 | Team OS : Your Only Destination To Custom OS !! 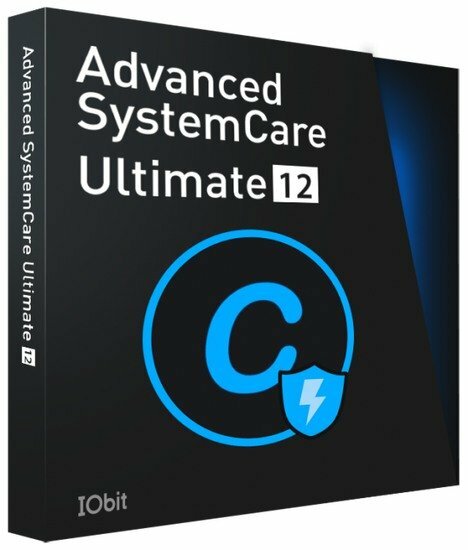 Advanced SystemCare Ultimate includes time-tested comprehensive tools and utilities for tuning, optimizing and accelerating the Windows system, as well as advanced anti-virus technologies with the Bitdefender engine, which can be downloaded for free on diakov.net. With real-time protection against viruses, spyware and phishing, a wide range of tuning and cleaning systems, Advanced SystemCare Ultimate provides continuous, automated, full-featured protection against all types of computer threats, system slowdowns, freezes and crashes. The program takes care of the security of your PC and automatically ensures maximum computer performance without slowing down the system. Advanced SystemCare Ultimate is an independent product. In addition to the newly built anti-virus features, it includes all the features of the Advanced SystemCare PRO program. Advanced SystemCare Ultimate is compatible with other security software, such as antivirus, firewall, and malware protection. The software package provides security and maintains maximum computer performance automatically, without slowing down the system. Removes deep infections and protects your computer from various threats using Bitdefender antivirus technology. Protects you from various online threats to ensure your safety while visiting websites on the Internet. Blocks malicious, fraudulent and phishing online resources. Protect your home page and default search engine in your web browser from malicious changes. privacy data as soon as your browser closes. This way you will be protected from surveillance. Continuously and automatically improves computer performance. Monitoring and fast, as well as a slight increase in PC performance. Properly organizes the data of hard drives and optimizes SSD-carriers for maximum performance and data access. Fully optimizes Windows for system performance and increase Internet speed. Prevents crashes / errors in Windows to improve computer performance and stability. Includes secure and slow file deletion using the DoD 5220.22-M algorithm used in the US National Department of Defense standard. Auto Care Automatic care of your computer when the system is in standby mode. Auto Cleaning Automatically clears sensitive data upon login. Update Auto- update the system at a specified time or when updates are available. • Improved cleaning of junk files for thorough cleaning of downloads folder and installed driver packages. • Simplified operation of privacy and tracking protection modules. • Improved privacy protection - added support for Firefox64.0, Adobe Air 32.0, etc. • The database for real-time and anti-spyware protection has been expanded. • The database of web protection and ad blocker has been expanded. 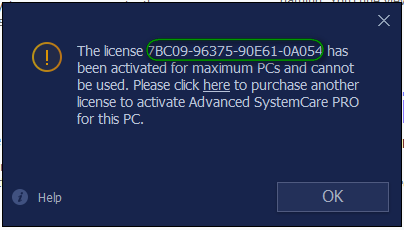 serial seems to be '7BC09-96375-90E61-0A054' just something simple for people who dl there apps from sites. did u try disabling ur net before entering key? @ZDooX License not working any longer. Thread locked for now. Will be removed soon unless there is a new one available.